The Health and Safety Executive (HSE) have been tasked with keeping people safe and healthy while at work since 1975. They are the body responsible for the encouragement, regulation and enforcement of workplace health, safety and welfare, and for research into occupational risks in Great Britain. To do this, HSE inspectors conduct numerous site visits throughout the year. Some of these may be unannounced, but all inspectors must follow the government’s code of practice on entering homes and businesses. The inspector may give you advice on health and safety, take photographs as part of their requirement to gather evidence or discuss safety standards, guidance and everyday practices in your industry. What if There Is Something Wrong? The inspector may take action if they find your business is breaking the law during the visit. They may also tell you to immediately stop a dangerous activity in your workplace. Advice – verbally or in writing, about some improvements you could make to health and safety in your workplace. This advice is free. A notification of contravention (NoC) – is a document or letter that states how your business is in ‘material breach’ of the law. It will explain how you have broken the law and what you need to do to stop. If the inspector gives you a NoC, you will have to pay for the cost of the inspection. An improvement notice – details what is wrong; the recommended corrective action; and how long you have to improve. The HSE will give you at least 21 days to make any changes, however you will commit a criminal offence if the improvements are not made in the given time. A prohibition notice – is given if there is a risk of serious personal injury now or in the future. 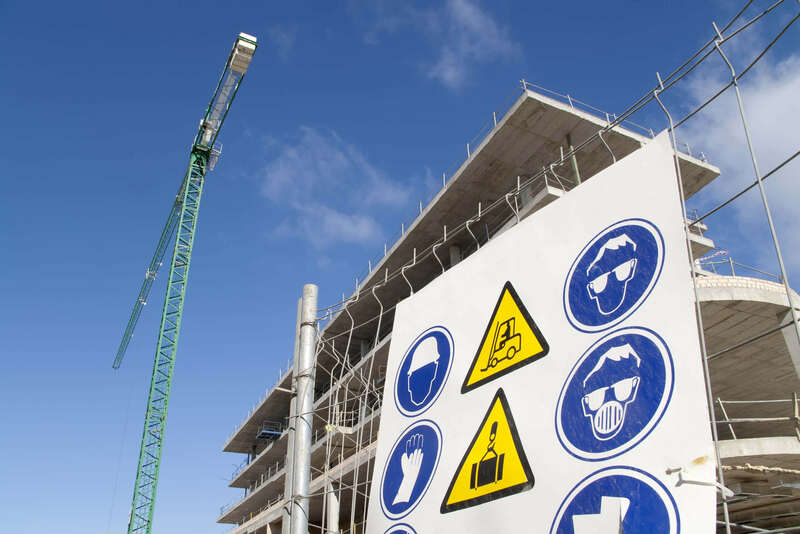 A prohibition notice orders you to stop works immediately until the corrective action has been implemented and the activity made safe to continue. A criminal offence is committed if you do not comply with a prohibition notice. Prosecution – for breaching health and safety laws or failing to comply with an improvement notice or a prohibition notice. The courts can issue a fine or in some cases a prison sentence. Discussing the outcome of the visit and report with you. If you disagree with anything on your FFI invoice, you can query it with the FFI Invoice Dispute team, which costs nothing. If you disagree with the response to the query, you can raise a dispute with FFI Invoice Dispute team. This must be done in writing. A disputes panel, completely independent of the HSE, will consider your dispute and write back to you informing you of the outcome. Complaints about your inspection should be initially raised with your inspector’s manager. Your inspector must tell you their manager’s name. If you are not satisfied with the outcome of the discussion with your inspector’s manager or the resulting investigation into the matter, you can complain in writing to the HSE’s Chief Executive. Following the outcome of this, if you are still not satisfied, a complaint can be escalated to the Parliamentary and Health Service Ombudsman. If you believe an HSE inspector has given incorrect or bad advice, a complaint can be made to the Independent Regulatory Challenge Panel. For further information or advice, please contact C-Link’s Health, Safety and Training Partner, 4see. You can visit their Partner page here to gain access to exclusive C-Link discounts on 01327 811166 or email enquiry@4see.co.uk.